Handmade ornaments are a special touch to add to any Christmas tree . . . stitch your own! This ornament is for the fly fisherman who spends hours in fresh mountain air, crisp trickling streams, and a slowed down pace of life. 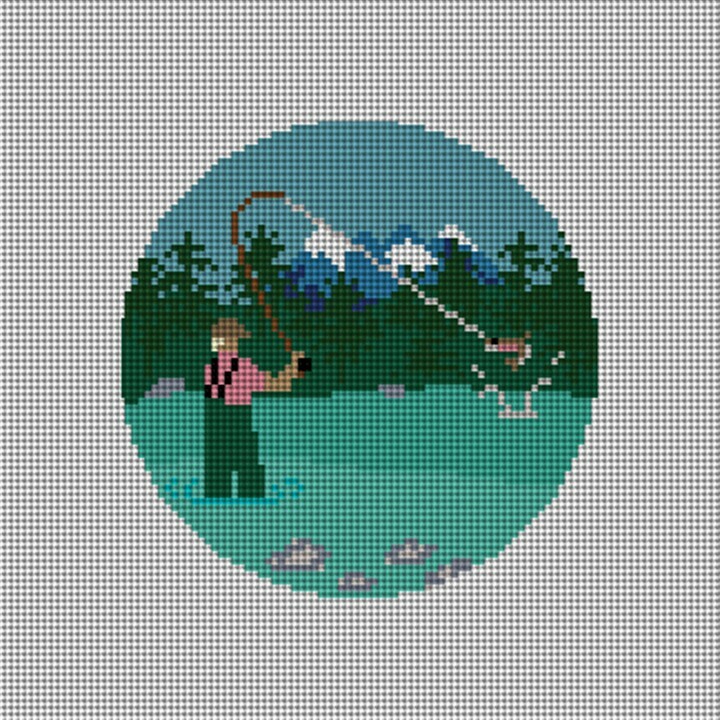 A great project to stitch, and give to your fly fisherman during the holiday season.